On Saturday January 12, 2019, the Ceremonial Hall of National Széchényi Library will host the general meeting and board renewal of the Hungarian Reading Association (HUNRA). The one-day meeting will feature several professional lectures as well. 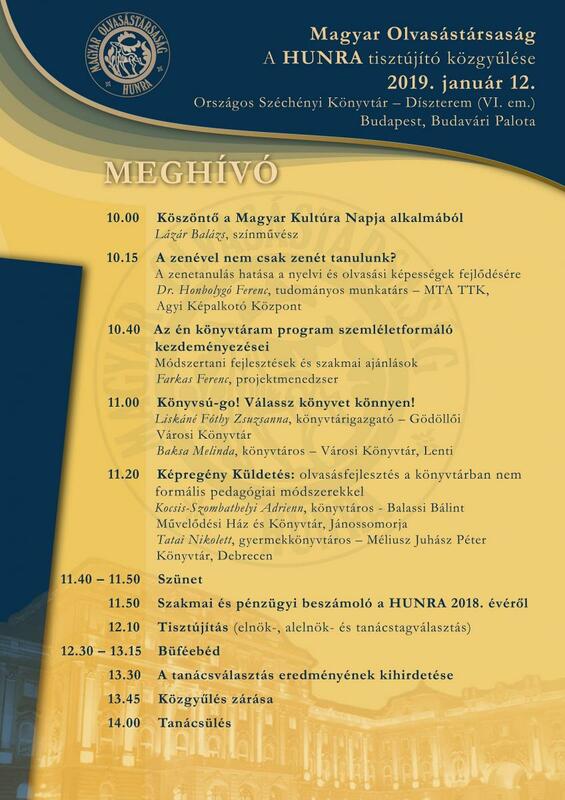 The detailed Hungarian-language program of the event can be read on the website of the Hungarian Reading Association.